After a challenging year -- marked by a box-office flop, declining merchandise sales and infighting among Star Wars faithful -- Walt Disney Co. restored some enthusiasm with a teaser trailer and a mysterious new title for the series’ latest movie. At a fan fest in Chicago, Disney gave cheering crowds the first glimpse of “Star Wars: The Rise of Skywalker,” the J.J. Abrams-directed film that will complete the nine-picture Skywalker saga. It had all the trappings: a quirky new robot, lightsaber heroics and sweeping desert scenes. Billy Dee Williams, now 82, reprises his role as Lando Calrissian. And the trailer hints that an old villain -- Darth Sidious aka Emperor Palpatine -- may return. This is a critical year for Disney’s Star Wars business, and not just at the box office. The company is introducing two new Star Wars themed lands at its parks in California and Florida in coming months. Huge crowds are expected regardless of how “Rise of Skywalker” is received, but the company is under more pressure to show the franchise is still vibrant. The new film, slated for release on Dec. 20, is the third installment of a trilogy that Disney began with “Star Wars: The Force Awakens” in 2015. It’s the company’s fifth overall since acquiring Lucasfilm Ltd. for $4 billion in 2012. Disney has been knocked for milking the Star Wars brand too aggressively and releasing so many movies that it overwhelmed fans. Chief Executive Officer Bob Iger acknowledged as much this week, saying the studio would take a break after “Rise of Skywalker” comes out. There have been other Star Wars movie projects in development, including a series from “Game of Thrones” creators David Benioff and D.B. Weiss, though nothing has been scheduled. Last year’s “Solo: A Star Wars Story” -- a stand-alone feature that wasn’t part of the saga -- was the lowest-grossing film in the four-decade history of the franchise. And Star Wars toy sales fell in 2018 for the second year in a row, according to NPD. Even Mark Hamill, the actor who plays Luke Skywalker, said this week that he had experienced Star Wars fatigue. But there are reasons to think “Rise of Skywalker” may help rekindle interest. It’s being overseen by Abrams, who directed and co-wrote the well-received “Force Awakens.” That movie was followed by 2017’s “The Last Jedi,” which wasn’t as big a hit. Disney also has given the movie a bit more breathing room. When “Solo” bombed last year, it followed the previous Star Wars installment by just a few months. 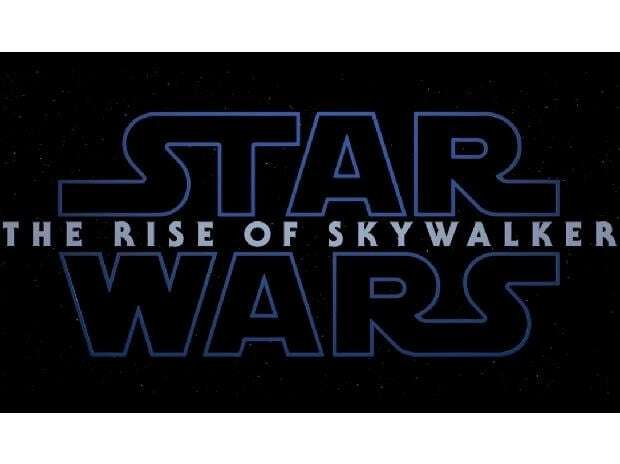 This time around, fans will have to wait more than 1 1/2 years when “Rise of Skywalker” opens. The Star Wars Celebration in Chicago, a biennial summit, already sold out its weekend tickets at $75 a day. Several hundred Jedi Master VIP passes were gone within minutes, at $850 a pop. Those give buyers access to a VIP lounge and half-hour early access to the exhibit hall and store, among other perks. The question now is whether that excitement will spread to regular filmgoers when “Rise of Skywalker” comes out.